Q. The Office of National Space Policy was established in the Cabinet Office last July. What is its role? The establishment of the Office of National Space Policy is based on the Basic Space Law, which was enacted in 2008. The law specifies that Japan’s national policy on space development and utilization is to be addressed as part of its national strategy in relation to other strategic priorities, such as industrial development, foreign affairs and national security, and science and technology. Previously, Japanese space policy was carried out by different ministries independently, and there was no government office to exercise oversight in an integrated fashion. The Office of National Space Policy is established in the Cabinet Office as the headquarters to coordinate Japan’s overall space policy and promote it in a comprehensive and planned manner. Our initial role is to compile budget requests for space-related projects for Fiscal Year 2013, and lay down the new Basic Plan on Space Policy. We are working on this in consultation with the members of the Committee on National Space Policy, which is also recently established in the Cabinet Office and is comprised of experts. As far as budget requests are concerned, since last spring, we have been holding discussions with related ministries to look for inefficiencies or budget overlaps. With projects that can be carried out more efficiently when several ministries collaborate, we take a leadership role to draft well-defined budget requests. Especially in a time of budget constraint, some of our most important roles are considering where to focus spending, working on making projects more effective and efficient, and carrying forward a well-defined space policy. In addition, we are working on a new Basic Plan on Space Policy. The current plan was formulated almost four years ago, in 2009, but since then international circumstances around space have changed greatly. So, taking into account these changes, we would like to draw up a new Basic Plan on Space Policy covering the next five years, and use it to deploy new space policy. Q. What do you mean by "well-defined space policy"? Today, the government invests about 300 billion yen (approx. 3.8 billion USD) per year in space development, so it is essential to properly assess which investments are worthwhile. Since space development is funded with taxes, it is the public that is investing in space development, so it is very important to inform our citizens of the results of their investment in a manner that they can easily understand. For this reason, we think that we need to use space policy not only to make people’s lives more convenient through space utilization, but also to facilitate a positive economic growth cycle, creating new industries and generating new employment. These new industries can then grow by exporting Japan’s space systems to fast-growing international markets, boosting their profits and expanding employment, which in turn leads to an increase in the country’s tax revenues. And these tax revenues can be used for further investment in space policy. We believe that space policy as a national strategy must contribute to the advancement of science and technology and to the provision of hopes and dreams to the people. But at the same time, it must enhance the security of peoples’ everyday lives, as well as improving our international industrial competiveness. Considering all of this, we need to be very careful with our limited national budget, and allocate our spending wisely and clearly. Q. Which part of the space policy is the government particularly focused on today? At the moment, the government’s emphasis is on the Quasi-Zenith Satellite System (QZSS), whose objective is satellite positioning, navigation and timing (PNT). The Office of National Space Policy is responsible for the project. Satellite positioning, navigation and timing involves many government agencies, such as the Ministry of Land, Infrastructure, Transport and Tourism; the Ministry of Economy, Trade and Industry; the Ministry of Agriculture, Forestry and Fisheries; the Fire and Disaster Management Agency; and the National Police Agency. Also, the private sector has created a variety of service industries that use data from positioning, navigation and timing satellites. Using GPS, for example, there are monitoring services for children and elderly people, logistics monitoring systems for food and other things, and financial transaction processing systems that use highly accurate timing information. So today, services that use GPS cover all around our daily lives. The QZSS can contribute to stronger international competitiveness of Japan’s industries; increased efficiency in both industrial and government activities, as well as daily life; and to the enhancement of Japan’s international presence, such as in collaboration with not only the United States but also Asia-Pacific economies. Given these advantages, the Cabinet endorsed the Basic policy on the implementation of the operational Quasi-Zenith Satellite System (QZSS) project in September 2011, and has designated it the top priority of Japan’s space policy. Q. How will QZSS satellites be launched in the future? Since the first QZSS satellite, MICHIBIKI, was launched in September 2010, more than 200 businesses, universities and organizations have participated in experiments to develop new services using this QZSS satellite. These experiments have produced many results and are still ongoing. However, a quasi-zenith satellite can fly over Japan for only about eight hours a day. For such services to be put into practical use, they must be available 24 hours a day, 365 days a year, and for that, we need at least four satellites. In September 2011, the Cabinet approved having four satellites system by the late 2010s, and funding was secured from the FY 2012 budget. We would like to establish the QZSS infrastructure as quickly as possible, and make use of it both inside and beyond Japan. Q. How do you expect the QZSS will change daily life? QZSS-based services will be able to take advantage of accurate positioning, navigation and timing information. We expect that these services will help advance and efficiency both industry and public administration, and improve efficiency and convenience in daily life. QZSS will also create new jobs, by providing opportunities to generate new businesses and services. The space industry includes not just companies that build or launch satellites, but also, for example, companies that use space data to develop applications or offer services using GPS. In fact, every year, more and more private businesses are considering offering services that make use of space, and we are anticipating the further growth of the space industry. Q. What opportunities are there to use space science in disaster prevention? The benefits of space utilization in disaster prevention and response became quite evident after the Great East Japan Earthquake and tsunami disaster last year. For instance, for cars with navigation systems heading to the affected areas, there was an Internet-based service providing information about available roads by using GPS. I think this service played a significant role in supporting the affected areas. Also, the satellite images, which clearly revealed the current status of the disasters, contributed to lifesaving measures and prevention of further damage, as well as efficient operations in public administration. When local governments issued monetary compensation to disaster victims, the administrative staff needed to verify the status of the damage. Conventionally, they would have had to visit and inspect each house in person, but satellite positioning and remote-sensing images have enabled them to do the job using computers, without having to leave the office. Satellite telephone systems were also very much appreciated after the earthquake and tsunami. I think that these experiences made people deeply feel the significance and merits of space utilization. 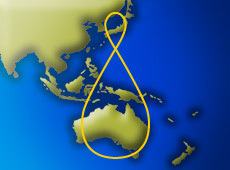 Q. QZSS can also perform in Asia and Oceania when it is in orbit over those regions. Are there opportunities to use the QZSS satellites as a diplomatic tool, or to expand the positioning and navigation service to other countries? The orbit of a quasi-zenith satellite enables it to perform over Asia and Oceania. At the moment, one of our objectives as the government is to develop overseas markets. To achieve this, we are promoting infrastructure packages and exports of space systems. An infrastructure "package" means that we offer complete solutions through space utilization, along with satellites and rockets. More precisely, we not only export space technologies and facilities; we also help our client countries develop their own human resources and build industries in public-private collaboration. From a technological point of view, Japan’s rocket launch services and satellites are excellent. But they are facing tough international markets today, because of their weak cost-competitiveness, which is also affected by the strong yen. So we have to offer more than just products. 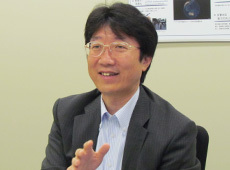 If we want to sell a satellite, for example, we think it is important to offer added value that will bring benefits to the client country, such as construction of ground facilities, human-resources development, access to Japanese satellite data, or helping develop a new industry that uses satellites. Also, if a client country hopes to establish its own governmental space agency, we can look at including intergovernmental cooperation in the package. Emerging Asian nations are advancing economically, and are especially interested in space utilization. By working with these countries government-to-government, we would also like to improve the international competitiveness of our own country’s space industry. Q. Will QZSS be an attractive product in the global market? It’s important to understand that Japan’s QZSS is designed to complement and reinforce the United States’ Global Positioning System satellite network. About thirty GPS satellites orbit the Earth, covering most of the globe. However, there are many places in Japan where the GPS signal is weak or non-existent, such as urban areas with an abundance of tall buildings, and mountainous or canyon areas. QZSS flies almost directly over Japan, so that its signal can penetrate both urban and natural canyons, and provides positioning, navigation and timing information to complement GPS. By combining data from the GPS and QZSS satellites, we will be able to improve positioning and navigation capabilities no matter where you are in Japan. The concept of complementing GPS is unique to Japan. With the objective of enhancing the use of GPS and QZSS, we aim to expand in the Asia and Oceania regions, where GPS is as popular as in Japan, working together with the United States. In addition, the GPS satellites are precise within about 10 meters, but with augmentation signals from QZSS, their precision can be improved up to about two meters, or even a few centimeters. The United States and Europe also separately have satellites that reinforce global navigation satellite systems, because the ionosphere, for example, is different over each region, and it is necessary to come up with means to improve the precision for each region. So, unlike the United States’ GPS and Russia’s GLONASS, which cover the entire globally, the QZSS satellites provide services specifically in Japan, as well as other countries in Asia and Oceania. We are anticipating that this unique Japanese technology, which enables a single satellite to complement and reinforce GPS, will be able to deploy in these regions as well. Q. Do you think that Japan will eventually need its own full navigation satellite system? 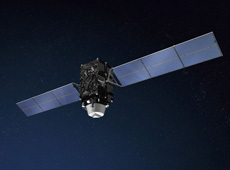 In September 2011, the Cabinet endorsed having four QZSS satellites in total by the late 2010s, and a future expansion to seven. With seven QZSS satellites, it will no longer be necessary to depend on other countries’ systems, such as GPS. QZSS will be able to perform sustainable positioning, navigation and timing in Japan without the dependency on the other GNSS (Global Navigation Satellite System). Q. 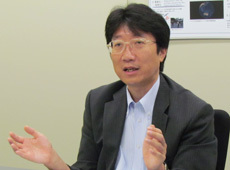 Finally, could you tell us about the vision on Japan’s space policy? In 2011, the United States retired the Space Shuttle, and has since outsourced transportation to the International Space Station to the private sector. By doing so, they aim to reduce the government’s financial burden, and at the same time develop its domestic space industry. The U.S. is addressing space policy as part of its national strategy. Paying attention to the way other nations approach space development and utilization, we too would like to make space policy part of our country’s national strategy. To that end, our role is to put together the Basic Plan on Space Policy, and to create a clear scope for space policy at the national level. The Office of National Space Policy is the headquarters for Japan’s space policy, the organization responsible for the development and maintenance of space infrastructure, such as QZSS. We are very much dedicated to fulfilling our role. Mr. Kunitomo graduated from University of Tokyo in 1986, and joined the Ministry of International Trade and Industry (MITI). He earned an MSc of Environmental Technology, Imperial College, University of London. In 1994, he was appointed Deputy Director, Oil Exploration and Production Division, Agency for Natural Resources and Energy, MITI; in 1996 Deputy Director, Coal Industry Division, Agency for Natural Resources and Energy, MITI; in 1998 Deputy Director, Paper-Pulp & Printing Division, Consumer Goods and Service Industries Bureau, MITI; in 1999 Deputy Director, General Affairs Division, Environmental Protection and Industrial Location Bureau, MITI; in 2000 Director-General, Planning Department, Tajimi City, Gifu prefecture; in 2002 Director, Environmental Industries Office, Industrial Science and Technology Policy and Environment Bureau, METI; in 2004 Director-General, Metals Strategy Department, Japan Oil, Gas and Metals National Corporation; in 2006 Director, International Projects Promotion Office, Manufacturing Industries Bureau, METI; in 2008 Director, Coal Division, Natural Resources and Fuel Division, Agency for Natural Resources and Energy, METI. He became Director, Secretariat of Strategic Headquarters for Space Policy, Cabinet Secretariat in 2010 and he has been in his current position since 2012.